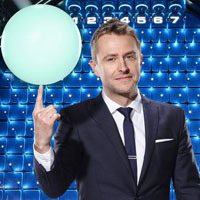 NBC revealed the news via a promo airing Tuesday night, announcing that Hardwick will guest-judge next week's America's Got Talent episode, as previously scheduled. That's in addition to returning as host of The Wall when the game show returns for its third season this fall. NBC made the announcement six days after AMC cleared Hardwick to return to Talking Dead and his Talking interview following an investigation into his ex-girlfriend Chloe Dykstra's accusations of abuse and sexual misconduct. When the allegations were first made public last month, NBC said it would "assess the situation and will take appropriate action based on the outcome."